Leigh Ann Roberts - Mediator based in Nashville, Tennessee. If you’d like a list of available dates for Leigh Ann Roberts, please submit a request below. Leigh Ann Roberts is a founding member of the Brentwood law and mediation firm of Papa & Roberts, PLLC. Mediator Roberts has years of experience providingl business & nonprofit legal and conflict resolution services in Middle Tennessee. Previous to that venture, Leigh Ann served for several years as an Assistant Attorney General at the Consumer Protection Division of the Tennessee Attorney General's Office. Mrs. Roberts also practiced in Clarksville, TN for the Richardson Law Firm where her practice consisted of mainly creditor's rights & insurance subrogation. 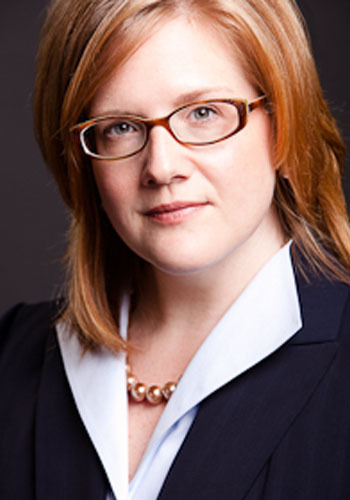 Mrs. Roberts draws from her years of litigation and negotiation experience, as well as her legal practice in both the public, private and nonprofit sectors. As an Assistant Attorney General, she negotiated multi-million dollar settlements for the State of Tennessee and has mediated for many parties in Tennessee courts helping them reach resolutions which greatly enhance their lives and their communities. Mrs. Roberts provides mediation services for many types of disputes, including cases involving medical/insurance claim disputes, construction cases, property disputes, franchise litigation, employment disputes, neighbor & landlord/tenant disputes, contractual claims and conflicts within religious organizations, schools/higher education institutions and community groups. Mrs. Roberts is an attorney and has been a mediator in Tennessee for over fifteen years. Listed as a Rule 31 Civil Mediator with the Tennessee Supreme Court, Roberts provides commercial, construction & employment mediation services as well as mediation of a host of civil claims including franchise, contract and noncompete disputes. Roberts is a certified Workplace Conflict Management Trainer for Mediation Training International and an Adjunct Professor of Mediation for Belmont University's Massey MBA Program. Leigh Ann is a past Board member and volunteer mediator for the Nashville Conflict Resolution Center and has volunteered hundreds of hours of mediation services to litigants in Davidson County General Sessions Courts. Leigh Ann is certified neutral and mediator with the national panel selected by Construction Dispute Resolution Services, Inc.; mediates for the Financial Industry Regulatory Authority (FINRA); and is a mediator and arbitrator for both the American Arbitration Association and the Better Business Bureau. Roberts attended the University of Mississippi School of Law, mediates claims across the Southeast Region and is member of the Tennessee and Nashville Bar Associations, the National Association of Conflict Resolution, past Chair of the Nashville Bar Association's Mediation & ADR Committee, and past President of the Tennessee Association of Professional Mediators, the statewide organization for ADR professionals in Tennessee. Please contact office for rate information: 615-767-5900. Note: Evening mediations - starting at 5:00 pm and Saturday mediations are also available, by appointment.